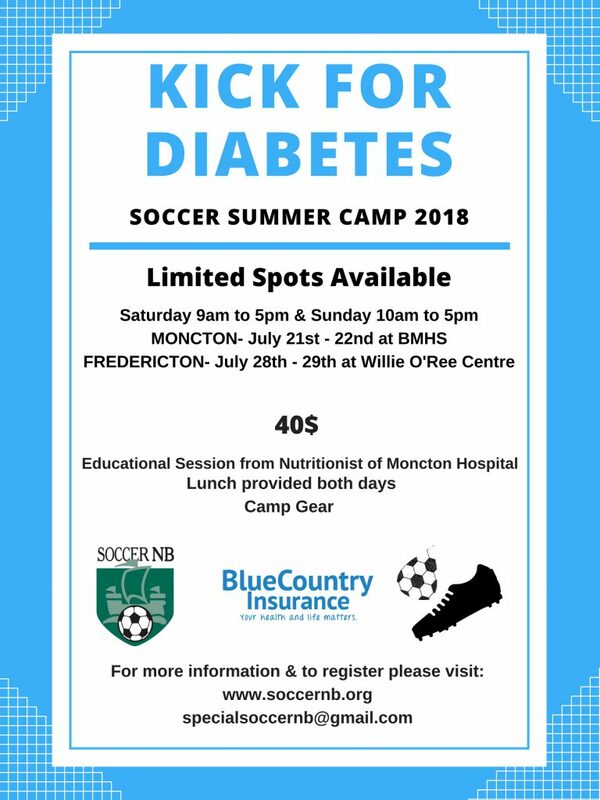 Soccer New Brunswick is raising awareness for kids with diabetes. We are having a fun, informative and healthy summer camp that focuses on children with diabetes. The camp is open to any kids with diabetes as well as any kids that may have a sibling or know someone with diabetes. Parents are invited to attend the Saturday education session available at both Camps locations. Schedule will be available July 3rd on this page! Ready to register? Follow the link below.